Rapper Kanye West has denied reports that he compared himself to Nelson Mandela. 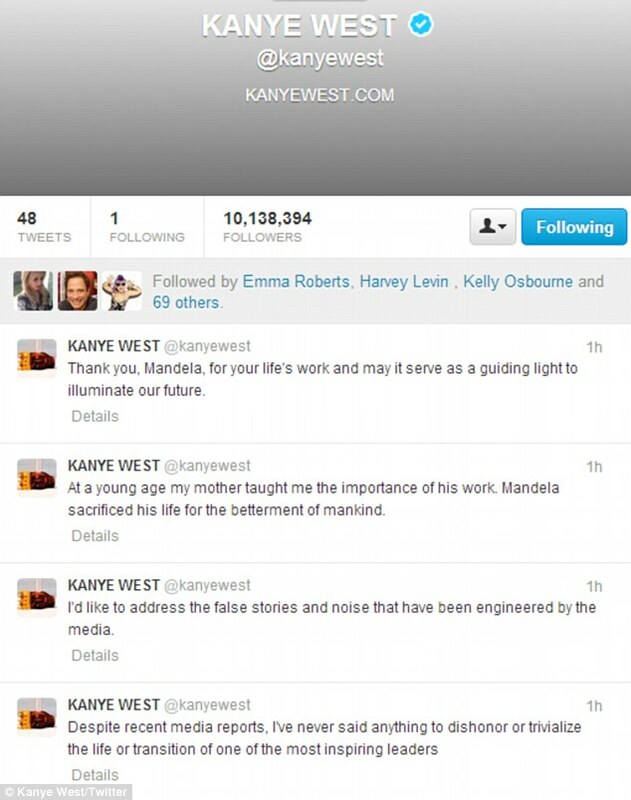 In a series of tweets, Kanye has explained how he was misquoted and set the record straight over his supposed comments. The Daily Currant had run a ‘fake’ interview with Kanye, where they quoted him as saying ‘I liberate minds with my music. That’smore important than liberating a few people from apartheid or whatever.’Kanye West has taken to Twitter denying that he compared himself to Nelson Mandela. Taking to Twitter, Kanye wrote: ‘Despite recent media reports, I’ve never said anything to dishonor or trivialize the life or transition of one of the most inspiring leaders’.